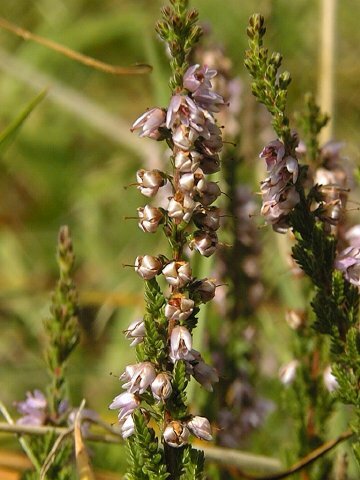 The most common species of heather in Britain, found in heaths, bogs, moorland and some open woodlands that have acid soil. It flowers between July and September and sometimes bears white flowers. Man has put the species to good use for many centuries, including flavouring beer, dye making, thatching and bedding.